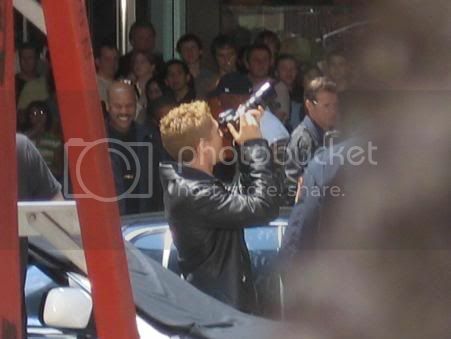 In the movie Spiderman III, Eddie Brock is a freelance photographer trying to land a job as a staff photographer. In the scene where Spiderman saves Gwen Stacy, Eddie has the opportunity to take a picture of Spiderman. What make and model camera is he using? I just watched the movie... so I will guess a Nikon D40 or D80. Canon Rebel XT or XTi?? Its a Nikon. F3 if I remember correctly. it's a d50 with the NIKON text on the flash blacked out. i'm such a nerd that i even answered this question in May and referred to myself as a nerd back then. lol. Proudly hosted by Sargasso Networks. Current Server Time: 04/23/2019 12:09:55 AM EDT.